545: The House of Steam endorses (PVO) Paul Van Orden for Portland Oregon’s Multnomah County Commissioner Seat #2 : Paul sites JT Murphy as a major influence in his life. We all know the benefits of having had skateboarding in our lives from a young age. I count amongst my skate friends: fathers, mothers, business owners, film makers, artists, sculptors, doctors, dj’s, musicians, authors, architects,influential television commercial advertising artistic directors, soldiers and even professional athletes(i.e. 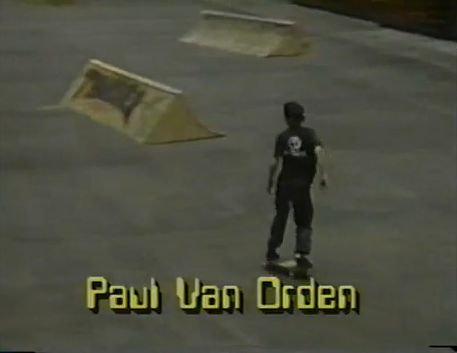 skateboarders) Paul van Orden wants to add holder of political office to that list. One of the most important things I take away from my continued association with skaters is that in life there are no problems… just hurdles. If you can find the time to read about what Paul is attempting and up against in his campaign for a County Commissioner seat it is safe to say he holds a similar view and that is good enough for me in a future politician. I have become friends with Paul over the last four years via The House of Steam. I dont live in Portland, heck…I dont live in the US but Sophie and I have sent $10 dollars towards Paul’s campaign. It does not sound like much but small donations can mean a lot to a campaign like this. If you feel equally compelled to help Paul, HERE is a link. Paul sites NJ’s finest and well remembered JT Murphy as a huge influence in his life so I figure any support we can give Paul either financially or through spreading the word via our social networks is a tip of the hat to JT’s life and all of his accomplishments…let’s just call that a bonus. Paul was and probably still is an original! Had his own style and direction and was always friendly and open to everyone. He was from North Jersey, can’t remember what town. I met him when he was going to college in South Jersey and then asked him to be part of the Earth Surfer team. He was one of the OG Brooklyn Banks guys and new all the OG Shut guys etc… from the early days. He also rode for skull skates. If you have the Deathbowl to Downtown dvd you will see him in there being interviewed in some retro footage from PM magazine, a topical news show i think on channel 5 out of NYC. I have been working for the skate community for my whole life. JT Murphy was a big influence on my life and serving my community. In the last decade I have been fighting for skateparks here in Portland Oregon. I did an acoustical study for the City of Portland demonstrating that concrete skate parks are a non issue. And then followed that up with my appointment to the City’s skate park advisory committee where we were able to lobby the Portland City Council to create a 19 park, skatepark system. I am excited to hopefully become the first pro skater to be elected to office in a major City in the United States. Any support anyone can offer would be most appreciated. Even small donations to the effort running an expensive campaign make a difference. President Obama demonstrated that people can organize using the web all over the US and fight for their beliefs. Thanks for helping me reach out to the skate community. This entry was posted in JT Murphy, Paul van Orden, Uncategorized and tagged ART, backyard ramps, boards, diy, east coast, house of steam, independent, jason, Jason oliva, jasonoliva, landshark wheels, New Jersey, New York City, old school, old school skateboarders.thos shop, oliva, paintings, Paul van Orden, photography, pool Skating, pvo, ramp, ride, sk8, sk8t, skate, skate decks, skate history, skate photography, Skate ramps, skate stickers, skate trucks, skate wheels, skateboarding, skateboarding history, skateboarding photography, skateboarding podcast, skateboards, skatepark, skater, SKATERS, skull skates, steam, Stickers, Street Skating, TEAM STEAM, The Barn, The House of Steam, the house of steam shop, the house of steam video podcast, thos, those, those shop, those video podcast, underground, underground skateboards, vert, vert ramps, Vert Skating on March 24, 2010 by jasonoliva.